Emergency services are dealing with the aftermath of a motorway collision near Doncaster this morning. 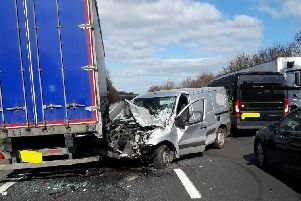 Two vehicles were involved in a crash on the northbound A1M between Junction 34 at Blyth and 35 at Wadworth. 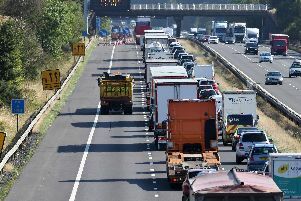 Highways England said the road is closed and ‘all emergency services attending’. Efforts are being made to try to open one lane past the crash scene to get those caught up in traffic moving. South Yorkshire Police said a lorry and car were involved.